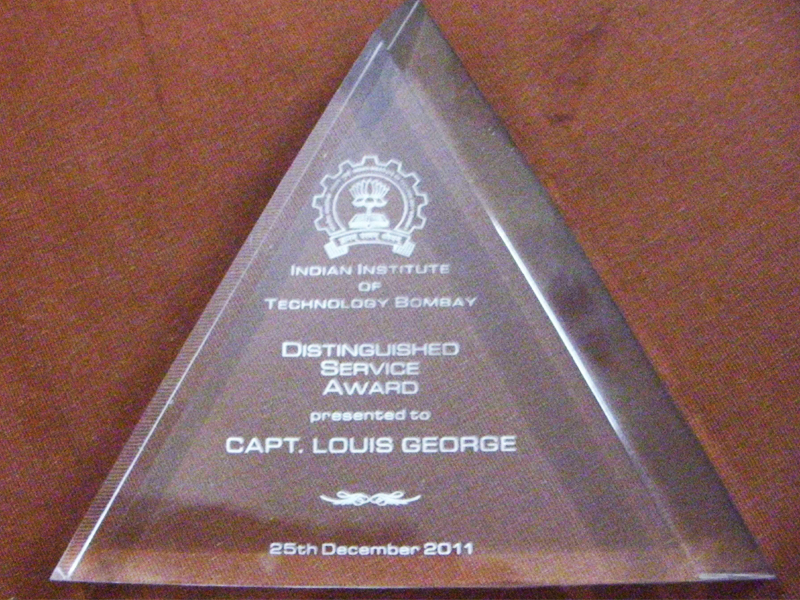 Capt Louis George ( Roll no 642/ Batch of 1972 ) has been conferred the Distinguished Services Award along with 13 awardees, from the alumni of IIT at Powai, Mumbai. 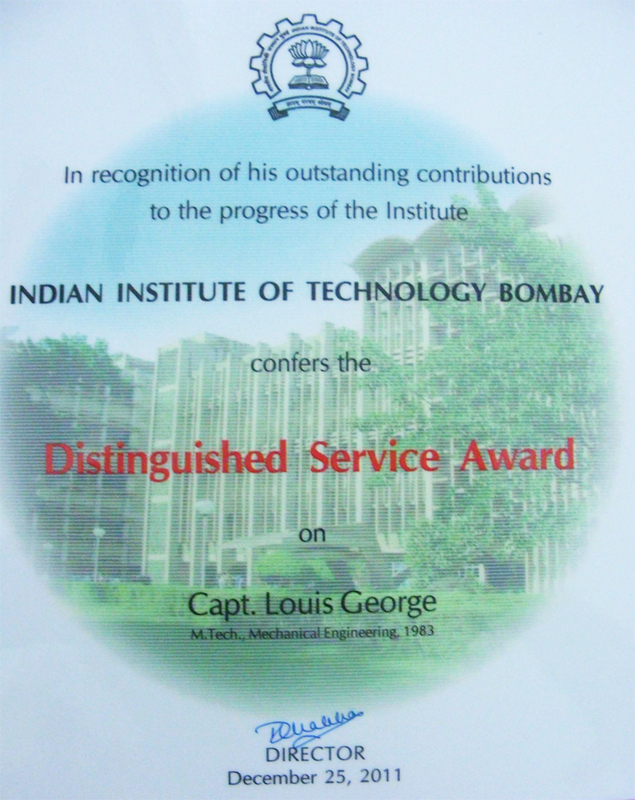 Distinguished Service Awards have been instituted at IIT Bombay from 1999, to be given to IIT Bombay Alumni who have contributed in a very notable and sustained manner to the progress of the Institute. 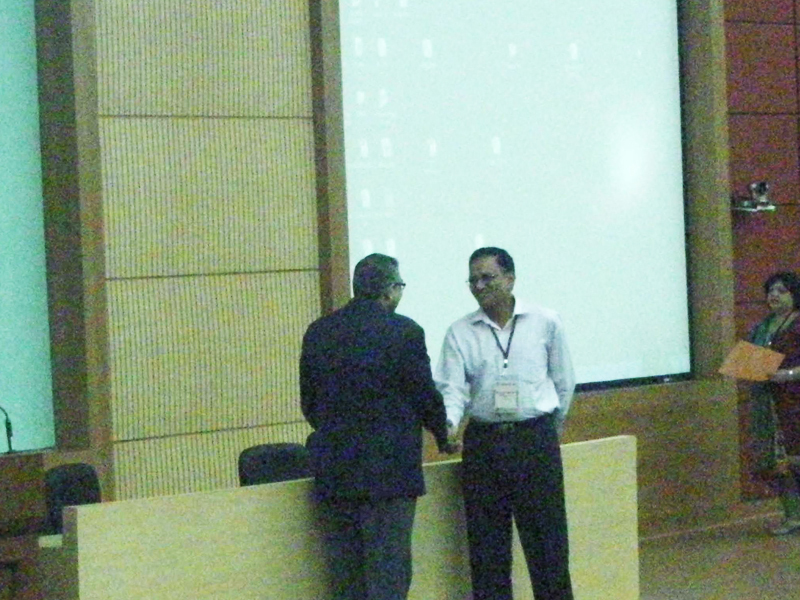 The award consisting of a certificate memento and an uttaria, and is presented on Alumni Day. The Distinguished Service Awardees chosen from among the nominations received from various stakeholders such as alumni and faculty of IIT Bombay. A very proud moment for all of us indeed. 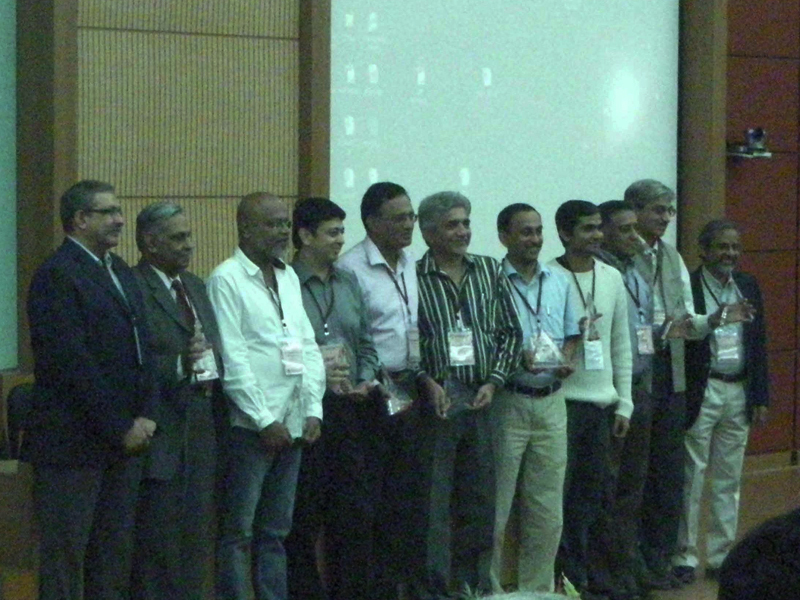 The Awardees of the DSA, 2011 from IIT Powai, Mumbai. Congratulations Sir, from the entire Class of 1990. Thanks a ton to batch of 1990. It is the good wishes of our dear Kazhaks that motivates OLDIES like us. A pleasure always, Captain Louis. Old is a very relative term. It is what one puts in the years that count. UpperClass Men like you are always an inspiration..Regards..the K90 Admin team. And wish you the very best to receive more such awards in future!